Please provide the following for more information. Smartifi MD, designs, develops and promotes an array of ‘smart’ medical devices. This new medical device cloud platform allows for remote monitoring enabling healthcare professionals to provide a higher level of patient care. Smartifi MD is a partnership venture that combines the capabilities and intellectual property of Devon Medical Products and cloud and application technology of ACM Systems LLC. Our smart medical device technology is the next era of health care, especially in the managed services market. Our smart technology essentially transforms today’s medical device into a mobile device. 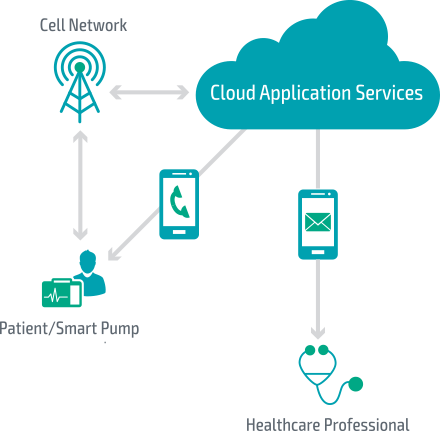 Smartifi MD’s technology is integrated into medical devices and is equipped with a cellular modem to connect in real-time to a cloud application that provides continuous operating status and immediate notifications for more effective, coordinated care. The Smartifi MD cloud platform and application services are designed to be ‘plug-and-play’. Our entire solution includes prepared asset management reports, operating status, record of treatment and alert history, and an API (application programming interface) to easily import the data to other EMR/HER applications. For real-time notifications, providers simply add contact information – e.g. phone numbers and/or email.